Rachel Zoe's love for Michelle Obama is OCC. Rachel Zoe said she would die to style Michelle Obama. The stylist to the stars -- whose signature catch-phrases "I die," "ba-nanas" and "OOC" have become part of the zeitgeist -- has pulled outfits and hand-picked accessories for the Hollywood elite and gotten A-listers red-carpet ready but she said styling the first lady would simply be ba-nanas, Zoe told omg. 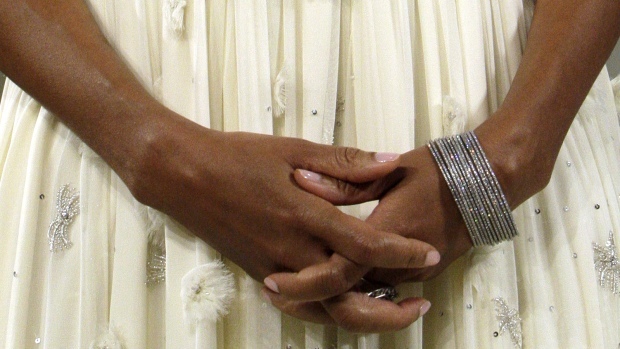 "I'd love to dress Michelle Obama," she gushed, "because I'm obsessed with her." The first lady is well-known for her fashion prowess, and is often sporting designers Michael Kors, Thakoon and Jason Wu. When going casual, Michelle opts for J. Crew or ensembles from the Gap. Zoe also said she wish she could have styled for Jackie Kennedy and Sophia Loren but stopped short of expressing the same admiration. The reality TV star -- whose season finale of "The Rachel Zoe Project" airs tonight -- said there are a bevy of must-haves for this season and that embracing the 80s revival is a must. "I'm all about sequins in every shape and form, leggings, jackets, tuxedo jackets, vests in every form," she said. "Sharp shoulders ,biker jackets, biker boots, zippers, buckles, grommets and huge jewelry."